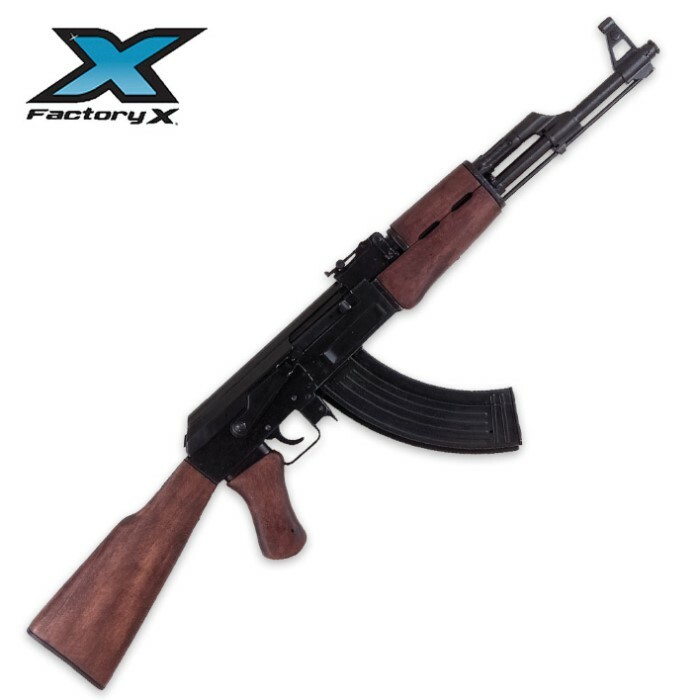 AK-47 Tactical Assault Rifle Replica | BUDK.com - Knives & Swords At The Lowest Prices! The AK-47 was used in many Eastern bloc nations during the Cold War and is one of the first true assault rifles that remains the most widely used and known. Compared with the auto-loading rifles used in World War II, the AK-47 was generally more compact, with a shorter range, and was capable of selective fire. More AK-47 rifles and variants have been produced than any other assault rifle and production continues to this day. This replica is an excellent tribute to the distinct weapon.